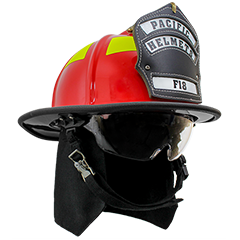 The Pacific F11 offers a fresh take on structural fire helmet design. The F11 has been designed to maximise protection and practicality for the diverse range of duties modern Emergency Service personnel are called on to perform. 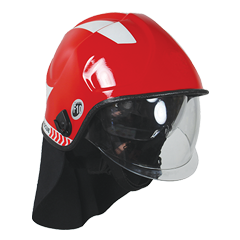 Certified to AS/NZS4067:2012, NFPA 1971:2018 & NFPA 1951:2013, and EN443:2008 the F11 is a compact helmet ideal not only for structural firefighting but also for road crash rescue and confined space work. 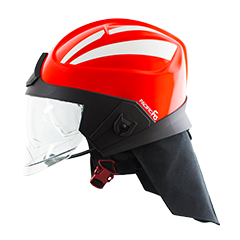 The compact design of the F11 makes it a truly multipurpose structural firefighting helmet. The F11 features the DuPont™ Kevlar® and fibreglass reinforced composite shell, and full cranium protective polyurethane foam liner. 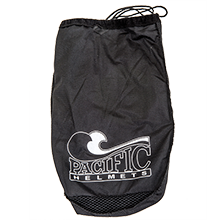 That not only gives excellent impact and penetration protection but also deceleration impact and side impact protection that the AS/NZS4067:2012 standard requires. 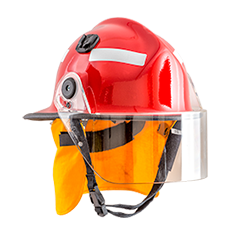 As a complete safety platform the F11 offers boom microphone and speaker compatibility, an individualised fit, and a full range of face and hearing protection. Available with a 3 or 4-point chin strap the F11 features Pacific’s next generation headband with pivoting nape for enhanced comfort and secure fit to all head shapes and sizes. 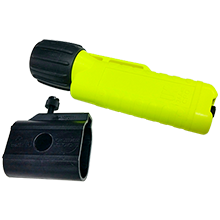 The face and hearing protection options include a full external face shield that is available in the customer’s preference of either a fixed hinge or clip-on hinge option, a unique “One Touch” automatically deployed internal eye protector, and clip-on hearing protection. Single handed adjustment at multiple locations for maximum comfort and stability. Leather cheek padding for added comfort (optional). High speed particle protection. Heat and flame resistant. Anti-scratch and Antifog coated. Optically correct. 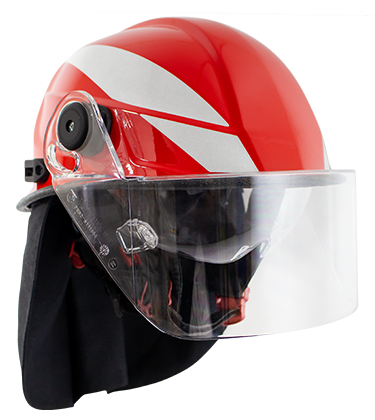 Clip-On design allows the face shield to be removed when not in use. 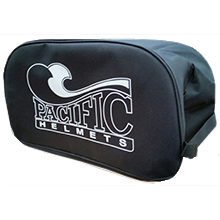 Protective hood for giving extra protection to the helmet during high temperatures. Thermal Barrier for Hot Fire Training. 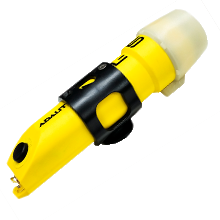 The F11 is compatible with lighting solutions such as the Underwater Kinetics eLED and Adaro Adalit L5 Torches, and can be fitted with Titan Firecomms with helmet mounted boom microphone and speaker systems. Some accessories may require selected helmet features.